Prof. Gaga Gabrichidze holds a law degree from the Tbilisi State University, Georgia (1996); he earned a Ph.D. from the Tbilisi State University (2005) and also holds a Master in European Law from the Europa-Institut of the Saarland University, Germany (2000). He has been teaching courses in the EU law and public international law since 1999; he held the Jean Monnet Chair in European Law at the Tbilisi State University from 2008 to 2011 and was awarded more than ten international fellowships including fellowships from the Humboldt Foundation, the European Commission and the Government of Austria; has been a visiting researcher at the Saarland University, Germany (2002, 2003, 2009, 2010), the University of Frankfurt, Germany (2007, 2008) and the University of Vienna, Austria (2001). His research is mainly focused on issues of constitutional nature in the field of the EU law, as well as law approximation and migration law; he is the author of a textbook on the EU law and more than forty scientific publications. Prof. Gabrichidze is also a member of the editorial board of “Georgian Law Review” (Georgia), a member of the scientific committee of „Moldovan European Studies Journal“ (Moldova) and a member of the scientific committee of „The Review of European Affairs“ (Poland). 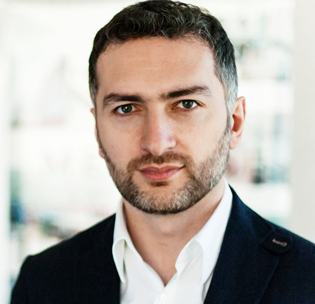 He is one of the founders and the President of the European Union Studies Association (ECSA Georgia) and also one of the founders and a member of the managing board of the Association of European Studies for the Caucasus.